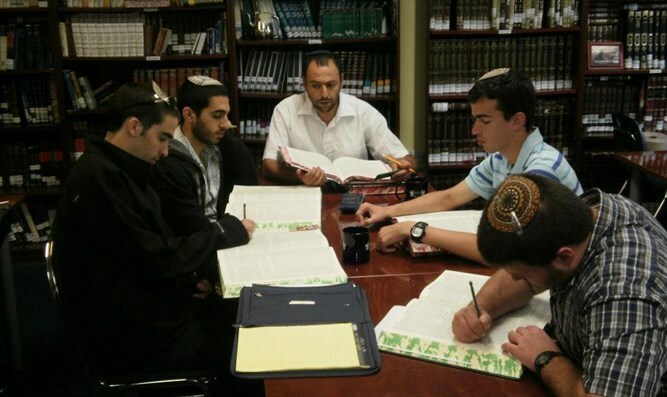 This week's Dvar Torah is by Rabbi Yonatan Rosensweig, former Rosh Kollel Melbourne (2006-2009) and currently Community Rabbi in Beit Shemesh. At the beginning of our parsha we learn that Avraham (Abraham) is commanded to come to Israel. He is to leave everything behind and follow Hashem's request. It is interesting and surprising that the first divine revelation to Avraham that is recorded is this one – it would seem important to first understand how exactly Avraham came to make a connection with Hashem to begin with. Indeed, it is not only us who are interested to know this, but rather the Midrash itself is interested in the matter and fill in the gap for us. The Midrash explains that Avraham searched out God, as he was interested to know how everything came to be. The Rambam brings this Midrash and tells us that when Avraham was 40 years old, after much searching and rational deduction, he came to know Hashem and to realize his existence. However, it is interesting to note that the Raavad disagrees with the Rambam and quotes a different Midrash that Avraham was in fact only three years old when he found Hashem. What are the Rambam and the Raavad disagreeing on? It seems clear that they are disagreeing on the source of faith. According to the Rambam faith is sought and gained through the use of one's intellect. Avraham had to work hard to find faith, because real faith is only found through proof. The Rambam believes that the highest faith is the one which is based on evidence and logical conclusions, and so he portrays Avraham in similar fashion. The Raavad, on the other hand, believes that faith – at its core – is something internal, something which one naturally can find within oneself. Avraham's faith, therefore, predated his being capable of intellectual analysis. He found it naturally within him. For the Raavad, faith is a natural component of our makeup, and all we need to do is access it.